Robo-investing is gaining popularity in the west, and it is just a matter of time for it to arrive in India. Robo-investing is gaining popularity in the west, and it is just a matter of time for it to arrive in India. 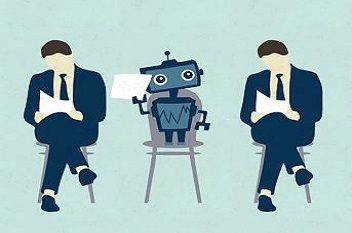 So, why is robo-investing the latest buzzword and what is it all about? Simply put, robo-investing is an investment advisory that is managed by software-based platforms that utilises algorithms designed by professional investment advisors. 1. Robo-advisors eliminate the element of subjectivity as they construct and review investors’ portfolios based on their individual risk appetites and time horizons and not based on any subjective judgement. They provide unbiased advice to the investors as there is no subjective element to influence their decision. This is in sharp contrast to the tendency of some of the professional financial advisors and investment consultants who may be tempted to mis-sell products that will earn them fat commissions even if these products are unsuitable for the investors. 3. Robo-advisors do not discriminate between small and HNI investors and treat all investors equally, unlike professional advisors who may offer preferential treatment to big investors and display a dismissive attitude towards small investors. 4. They offer customisation in portfolio construction at a reasonable cost. However, robo-investing has its limitations and shortcomings too. A robo-advisor cannot interact with an investor like a human advisor can, so the element of personal touch will be missing. Since the investment advisor or the financial consultant knows and understands the needs and goals of the individual investor personally, he can customise a portfolio that is perfectly in sync with the aspirations, goals and expectations of the investor. Robo-investor may not be able to customise the portfolio to such an extent as it utilises pre-set algorithms for the task. This fact has to be borne in mind by the investors before going whole hog for rob-investing.